Check out this list of dining options near the Stockton Arena. Just a hop, skip, and jump away from the Stockton Arena you'll find delicious restaurants you can't pass up. Stockton dining at its best! Just plan ahead and anticipate larger than normal crowds during events at the Stockton Arena. Download our Downtown Stockton Dining Map to locate these Downtown restaurants and many more, or give Visit Stockton a call at (209) 938-1555 for more information. Inside the University Plaza Waterfront Hotel you will find an enjoyable dining experience at Delta Bistro & Lounge. Enjoy a drink and some sweet potato fries in the bar before sitting down in the dining room. Hamburgers, sweet chili salmon, and pork tenderloin are just a few favorites on the menu. Thai Thai offers truly authentic food. Enjoy the flavors and textures of Thailand right here in Stockton. Conveniently located in Downtown Stockton, restaurant favorites include yellow curry, pad thai, and pineapple fried rice. Top off your meal with a Thai iced tea and your taste buds will thank you. For quick place to grab drink and a bite, Empresso Coffeehouse has you covered! The much loved and very recognized coffeehouse in Stockton has three locations to serve you, one of which is nearby the Stockton Arena. Stop by and enjoy deli sandwiches, made-to-order paninis, and flavorful ciabatta pizza breads, accompanied with your favorite warm beverage. One of the busiest and most creative sushi restaurants in Stockton, Misaki is always a treat. It is located in the Janet Leigh Plaza, which was named for the famous movie star who lived and went to school in Stockton. Enjoy some sake bombs during happy hour and don't forget to share your food photos on social media with the hash tag #visitstockton. Located in the historic Waterfront Warehouse, Nena's has been a Stockton favorite since 1985. 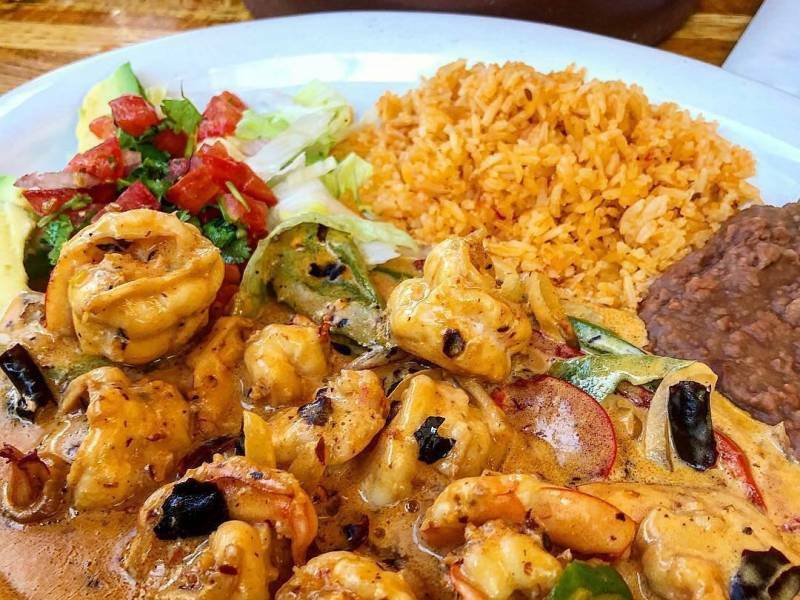 Enjoy authentic Mexican cuisine and beautiful views across the water from the Stockton Arena. In addition to burritos and tacos, enjoy menu favorites like the Torta Cubana (loaded with ham, breaded meat, asada and avocado), chile relleno, and their homemade tortillas, that definitely live up to the hype! Saigon Bowl is a great place to go to if you want a piping hot and intriguing bowl of Vietnamese noodle soup. Don't let this tiny hole in the wall fool you, the noodle house serves generous portions that will keep you full during a long night at the Arena! Popular menu favorites include the combination plate, rice bowls, banh mi sandwiches, and their tasty spring rolls. If you want flavorful Vietnamese food before your stop to the Stockton Arena, give this spot a try. This hole in the wall diner offers delicious and generous portions of Chinese-American food. China Village is a small restaurant, which will fill up quick during peak lunch and dinner hours. Locals talk about sizzling rice soup, general's chicken, Mongolian beef, and shrimp fried rice! Check out our full Downtown Stockton Dining map for even more delcious places to grab a bite to eat in the Downtown! And don’t forget to check out Stockton’s Miracle Mile, where great restaurants and a thriving nightlife scene are only a short drive away. Not convinced with this list? Check out the top 10 restaurants in Stockton, according to TripAdvisor. You can message us 7 days a week for assistance on shopping, dining, and things to do in Stockton, California.